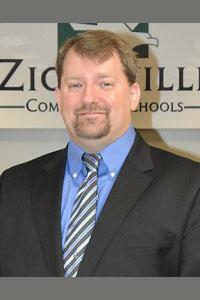 Joe Stein grew up in Indianapolis until he and his wife Donna (ZCHS graduate class of 85’) moved to Zionsville in 1990. He graduated from Indiana University with a degree in accounting and shortly after graduation he passed the C.P.A. Exam. Joe gained experience working for KPMG Peat Marwick as an auditor. He was the Chief Financial Officer at Taft Law Firm for 15 years before leaving to join the family business which he now operates. Joe brings over 25 years of financial and administrative experience to the board. He has served the Zionsville community by coaching ZYSA rec and travel soccer, ZYFL football, lacrosse at ZMS and 20+ years as a junior high youth group leader at his church, Zionsville Fellowship. Joe is currently serving his second term on the ZCS Board of Trustees..
Joe has four children, three attended ZCS all 12 years and one is currently enrolled. In his spare time, Joe loves camping, fishing and kayaking. 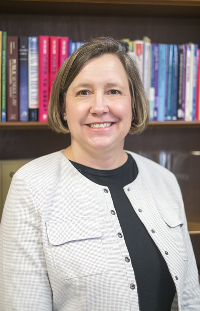 Debbie Ungar has been a member of the Board of Trustees since 2015 and has been a volunteer for the Zionsville Community Schools since 2003.. She served as PTO President and Fundraising Chair at both Eagle Elementary and Zionsville West Middle School. She also served the Zionsville Education Foundation (ZEF) Board as the community relations chairperson and a member of the In Style fundraising and grants committees. Debbie is a proud graduate of Indiana University with a B.A. in journalism and a minor in business. She is the Communications Manager for the IU Center for Global Health and AMPATH, the center’s signature Kenyan partnership. She has previously served as a fundraising and communications professional for the American Cancer Society, Crohn’s and Colitis Foundation, Governor’s Council on Impaired and Dangerous Driving and the Commission for a Drug-Free Indiana. Debbie and her husband Ken have lived in Zionsville since 2002 and their two sons attended Zionsville Community Schools from kindergarten through graduation. Jane Burgess grew up in Covington, Indiana and received a B.A. from Purdue University in Elementary Education and Masters in Education from West Chester University in West Chester, Pennsylvania. 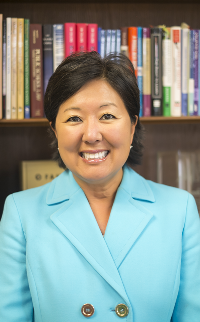 Mrs. Burgess’ professional career in education included from classroom teacher to Director of Support Operations for a national education company H.O.S.T.S. (Help One Student To Succeed) where she had the unique opportunity to work with school and districts throughout the country. She is now a full-time mother, homemaker and volunteer. Mrs. Burgess is serving her third term on the Zionsville School Board, in addition to serving on the Habitat for Humanity of Boone County Board of Directors. She is member of Zionsville Presbyterian Church and St. Margaret’s Hospital Guild. Jane and her husband Claude have two children, Kristin who works at Dana-Farber Cancer Institute in Boston and Thomas, who attends Xavier University. Michael Berg was born in Cameroon and spent the majority of his early life in Senegal, before moving to America and graduating high school in Springfield, Illinois. Michael received B.A.’s in Psychology and Integrated International Studies from Knox College in 2002 and a M.S. in Clinical/Counseling Psychology from Illinois State University in 2004. Michael has worked in various capacities in the behavioral health field in Maryland, Illinois, Minnesota, and Indiana and is currently a Licensed Mental Health Counselor at Community Health Network’s Community Infectious Disease Care working primarily with people living with HIV. 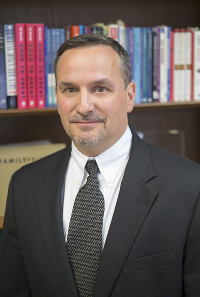 Michael also has expertise in child and family mental health, addictions, crisis intervention, and LGBTQ issues. Michael and his wife, Melody, have lived in Whitestown since 2014 and have three children who attend Zionsville Community Schools. The Bergs enjoy travel, camping, and coaching or participating in all manner of athletic endeavors. Michael Coussens grew up in northern Indiana. He and his wife, Tracy, moved to Zionsville in 2002. Michael holds a degree in Aeronautics and Astronautics Engineering from Purdue University and has 24 years of engineering experience at Grundfos, currently as the Chief Engineer focusing on new product development. Michael and Tracy have four children, including one ZCS graduate and three current ZCS students. 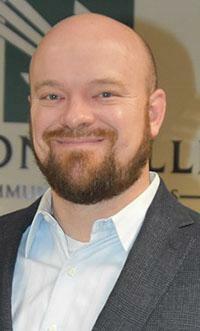 He actively supports Zionsville schools at all levels, serving as a past Union Elementary Dads Club member and president, on a Zionsville Education Foundation Grant Committee, and, currently, as ZCHS Marching Eagles parent volunteer.